August 20, 2018, 8:21 a.m. 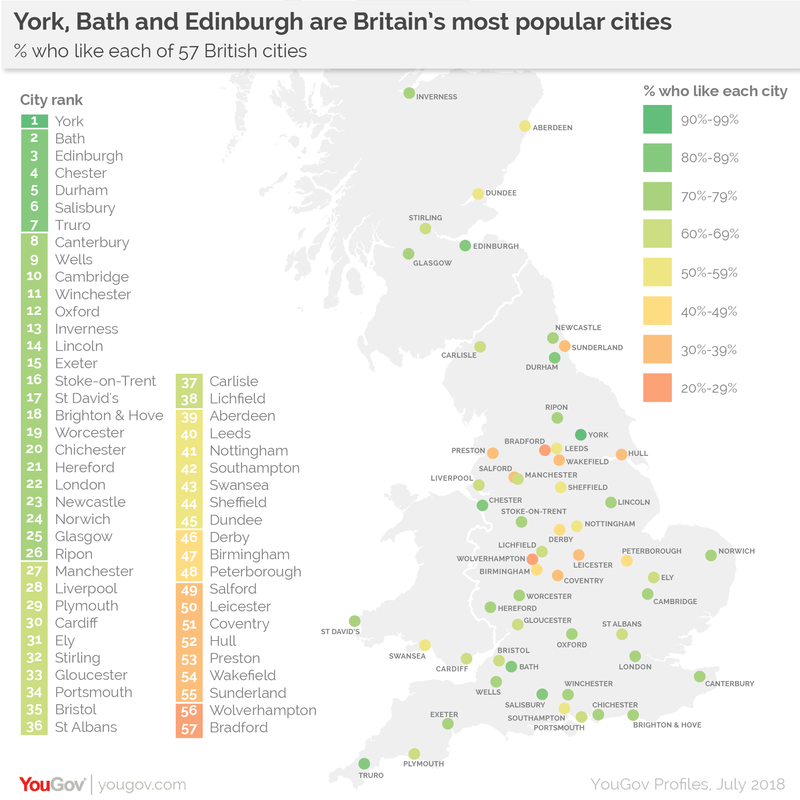 Newly released YouGov Profiles data on the opinions of more than 55,000 people towards 57 English, Welsh and Scottish cities reveals that York is Britain’s most liked city. More than nine in ten Britons (92%) saying that they like the historic Viking settlement. Wales’s most liked city – St David’s – comes much further down the list, placing 17th with 74% of people saying they like it.